News Roundup: Galactica, TLC and dining changes ahead? 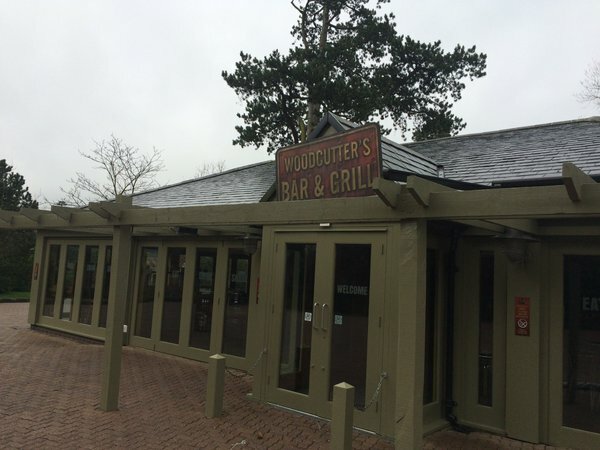 – TowersStreet - Your premier Alton Towers guide! TowersStreet » News » News Roundup: Galactica, TLC and dining changes ahead? News Roundup: Galactica, TLC and dining changes ahead? 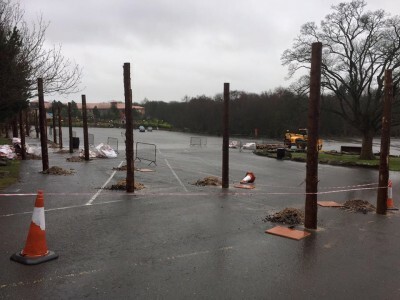 Despite the resort being closed for February Half Term for the first time in a number of years, there’s been plenty of work going on behind the scenes to get the park ready for the 2016 season. With just under 4 weeks to go until opening day, in today’s roundup we concentrate on what changes are ahead for the theme park this year. 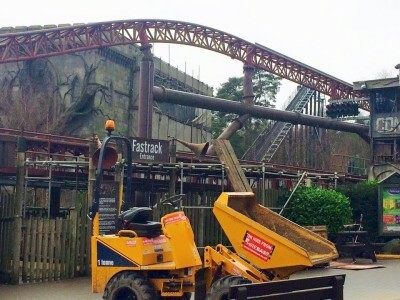 Work is continuing to convert Air to Galactica – the UK’s first virtual reality coaster. 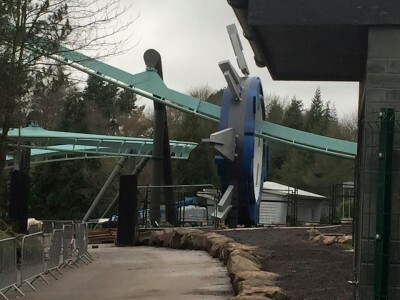 This last week saw the installation of the portal element on the ride’s first drop. The track has also been cleaned over the course of the closed season. Moving onto the car park, and what appears to be a new pathway is being constructed from the hotels to access gate beside Air/Galactica, which was previously used as an exit during special events such as Fireworks. 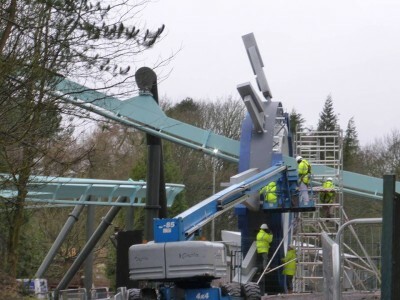 It’s believed that the gate will now be used to allow guests to access the new Rollercoaster Restaurant, which is currently being constructed in Air’s old ride shop. Changes have been spotted on the Alton Towers website this week, prompting speculation that there will be changes to the park’s food and beverage offering this season. The park’s all day dining page has seen a number of outlets removed from the list of those available to all day dining guests. The base price has also risen from £20 to £23.95. 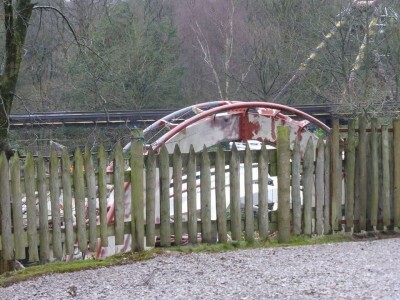 Although the removal of [email protected] comes as no surprise following the ride’s departure, also currently missing from the website in comparison to last year are Forest Feast, Mexican Cantina and Wobbleworld Cafe. In addition, Ben and Jerry’s no longer features in the list of exclusions in the terms and conditions, potentially indicating a further outlet which could remain closed. Courtyard Tavern Bar + BBQ in Mutiny Bay is also noticeably missing from the list. During a visit to Sharkbait Reef during the resort’s Pirates and Princesses event, boards were seen covering the queue line and serving area. 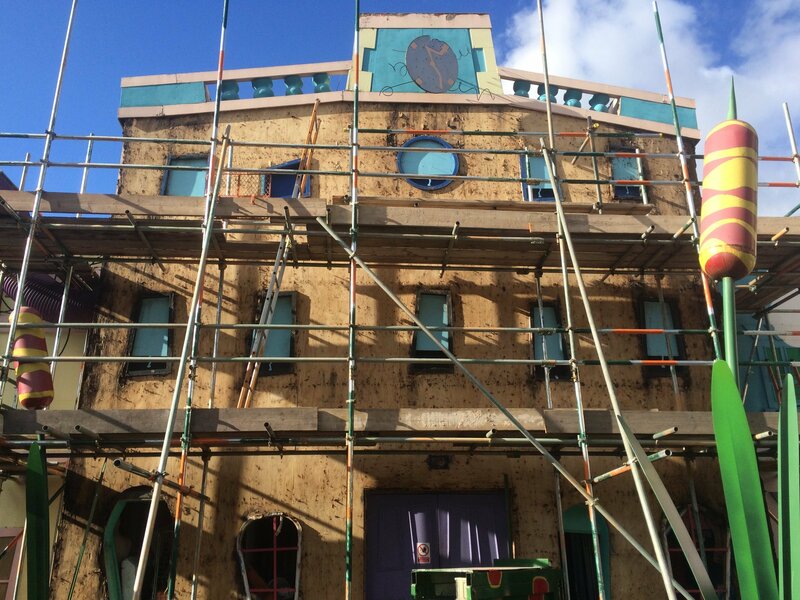 The boards are painted and look themed to an extent, suggesting a long term closure is on the cards. 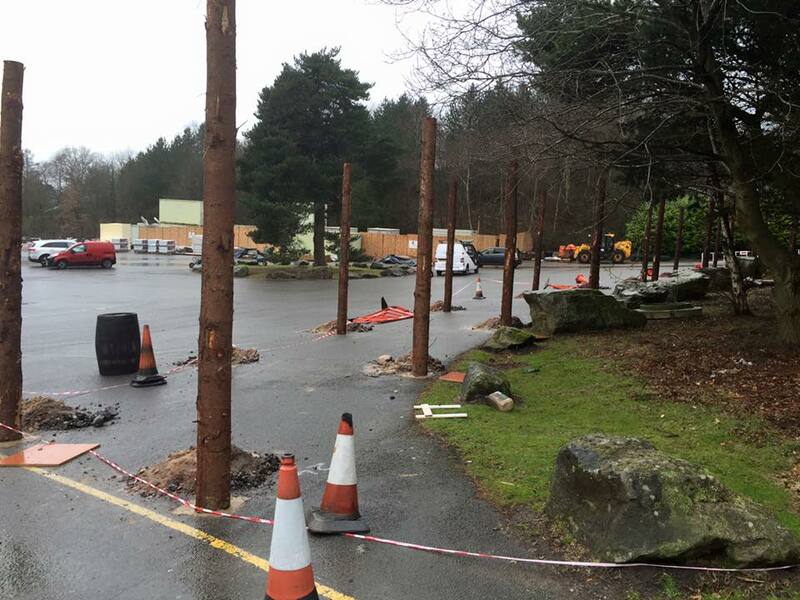 The resort are still yet to officially confirm both ride lineup and food outlet changes for the 2016 season, and of course it is possible further outlets may be added or removed as March approaches. We’ll bring you more news as and when we receive it. 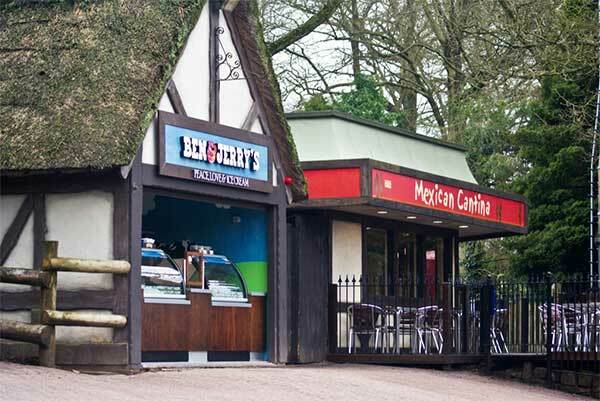 A new ‘Annual DigiPass’ launches this season across Merlin’s theme parks in the UK this season. The product offers all inclusive digital photos at LEGOLAND Windsor, Alton Towers, Thorpe Park and Chessington for 12 months. The pass also gives 50% off printed photos. The standard price for the pass is £50, but those attending Annual Pass preview days at Thorpe Park (13th March) or Chessington World of Adventures (12th and 13th March) can purchase at a 20% discount for £40. Don’t forget that if you’re attending pass preview days, you need to pre book a ticket to gain entry over on the Annual Pass website. 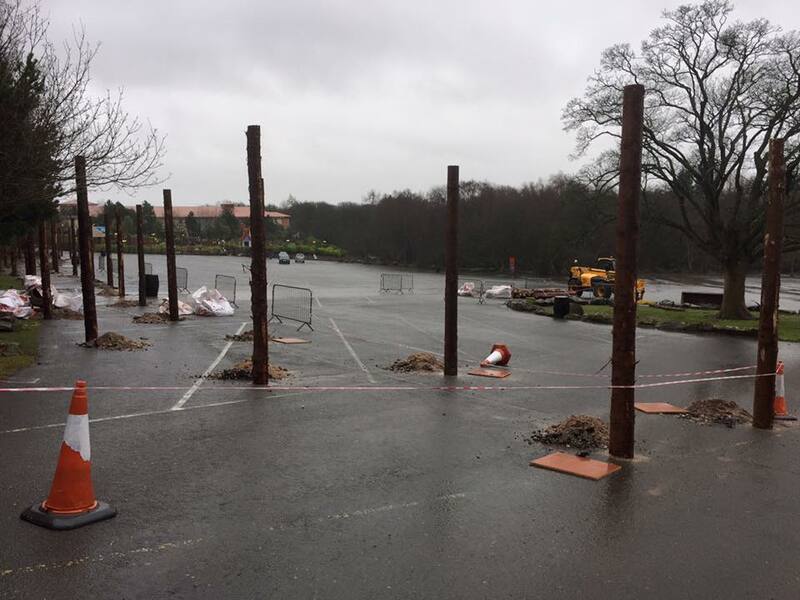 The resort’s improvement programme ‘Towers Loving Care’ is continuing at present. 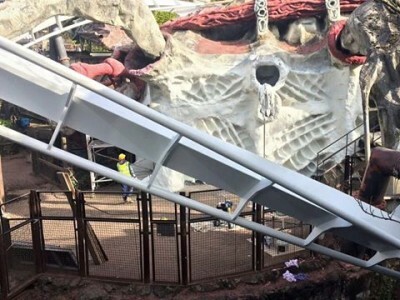 Fan favourite Nemesis and it’s repaint is continuing, with the majority of the track having now received a white base coat, scenic painting is due to start shortly. The station building itself is also undergoing restoration work. Elsewhere, teams have moved into the Dark Forest to carry out as yet unconfirmed improvements there. Battle Galleons is also undergoing a full deep clean, and plenty of painting is being carried out to buildings in Mutiny Bay, Woodcutters, Pizza Pasta and the old Outta Control building in Cloud Cuckoo Land. The ticket offices on the entrance plaza are already having their roofing replaced. 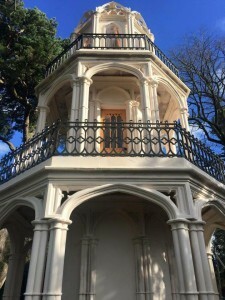 We brought our Facebook and Twitter followers an exclusive picture of the now completed Gothic Prospect Tower restoration. Extensive refurbishment began on the tower last season, with the building covered in scaffolding and boards. Layers of paint from over the years were stripped back and has been repainted in it’s original colours. Along with new iron and woodwork, we’re sure you’ll agree the tower is now in excellent shape! 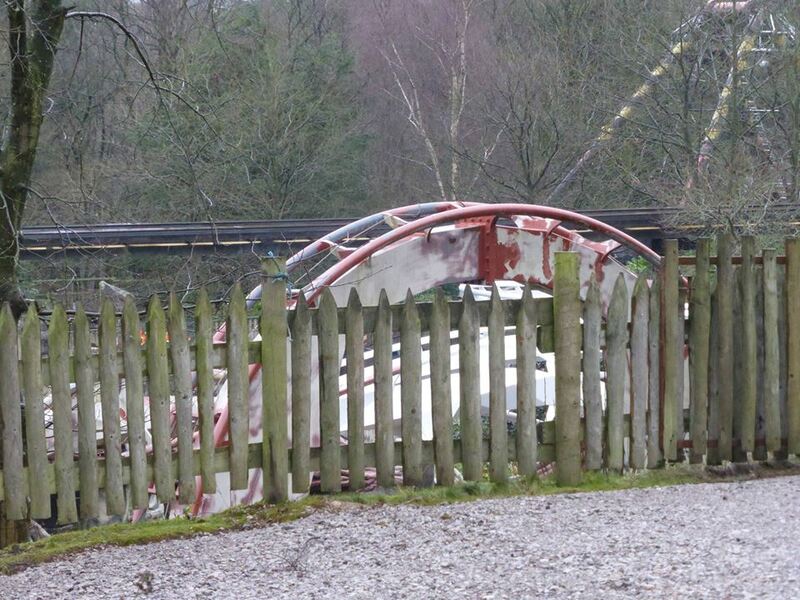 With the park now on the final stretch to main season opening, don’t forget you can discuss these changes over on our Forums. We’ll also be bringing you regular updates over on our Facebook and Twitter pages.